The ABA was founded on August 21,1878, in Saratoga Springs, New York, by 100 lawyers from 21 states. The legal profession as we know it today barely existed at that time. Lawyers were generally sole practitioners who trained under a system of apprenticeship. There was no national code of ethics; there was no national organization to serve as a forum for discussion of the increasingly intricate issues involved in legal practice. Need to Hire A Criminal Lawyer? Look to the American Bar Association website and do some research before you hire any lawyer to defend you in court. A good criminal defense lawyer will have good status on the ABA website. You will be able to view the attorney’s background, how long they’ve been an attorney, any items filed against them and if they are in good standing. 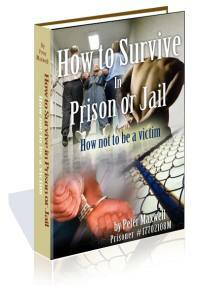 Don’t hire just any criminal lawyer to fight your case. It’s always better to be informed then to be misinformed when it comes to the law. A great attorney listed with the American Bar Association will help guide and inform you – keep in mind, you’re the client and they are hired to do what’s right for you as they defend your interests. Need more information about the American Bar Association and the member attorney code of conduct? Visit their website here: https://www.americanbar.org/utility/codeofconduct.html. Any professional attorney should be listed with the ABA. Find a great lawyer today and worry less about your criminal case. Fantastic review of information for lawyers. I would also like to see more info about what lawyers try to do or even how to get around using a lawyer in some circumstances. Where do you get the gall to post something like this? These lawyers attend school for years and I have never met a lawyer who did not have their client’s interests at heart. Shame on you. Being a member of the bar I think is like being a member of the BBB. Just pay your fee and you instantly become a member. I certainly enjoyed this article. I didnt know that about the BAR association. How could you not know about the BAR association. What do you live under a rock? My lawyer cheated us and my husband still went to prison. What can I do? Should I contact the bar association?